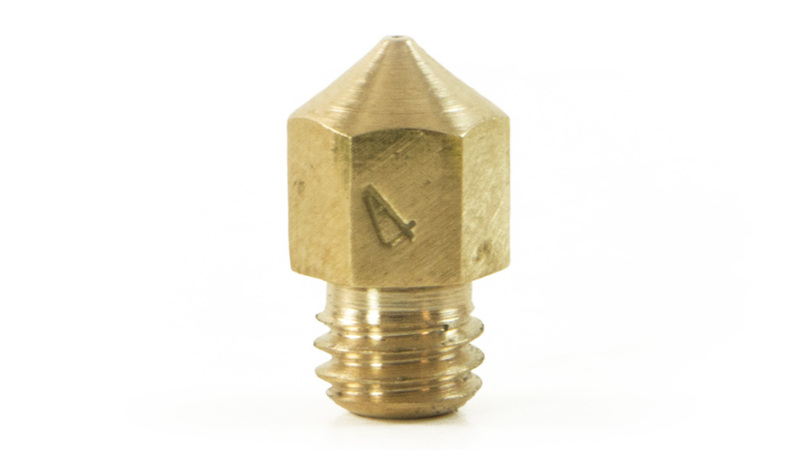 Brass, as an excellent conductor of heat, is an ideal material for a 3D printer nozzle. 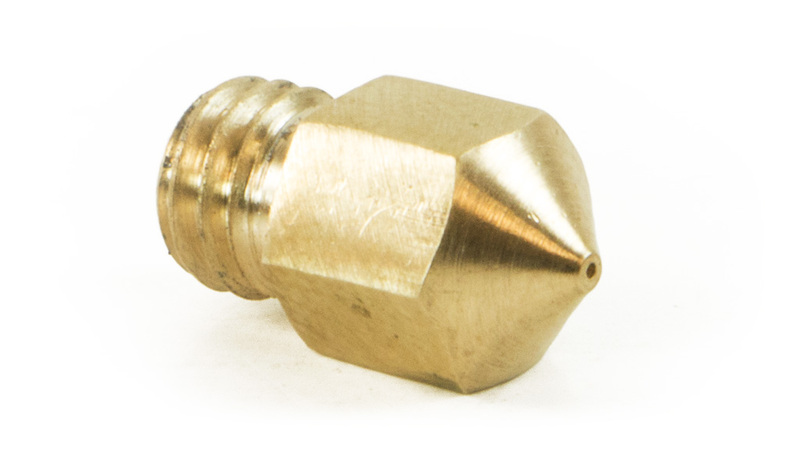 This part is machined from brass metal alloy. 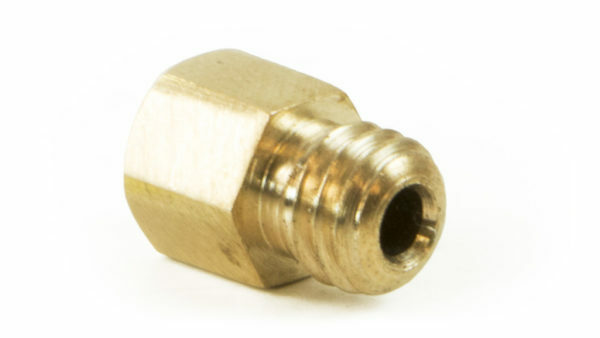 With an input diameter of 1.75 millimeters, it will thread into the existing MakerBot heater block and thermal barrier tube hot end assembly. Output diameter is .4 millimeters. 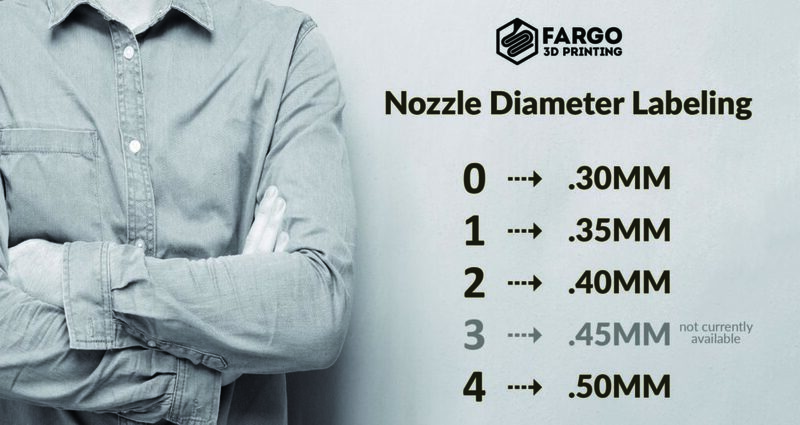 External dimensions of the nozzle are 5 millimeters by 13 millimeters.